In during the 2017/2018 ski season I quietly launched my analysis tools on the web. I’m not a web developer so they are a little rough around the edges, but they seem to work (most of the time). 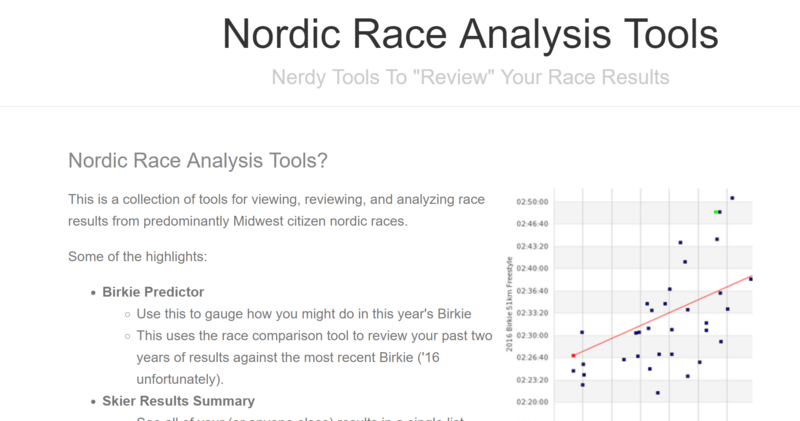 If you are interested in digging a little deeper into your results or your friends results, head over to Nordic Race Analysis to start digging.